On the recommendation of Johnnie Moore, I read A Perfect Mess by Eric Abrahamson and David Freedman. I was really looking forward to this book because it held the promise of providing an interesting view of issues dear to my heart: chaos, complexity and messiness (I also hoped it might give me good reasons for maintaining my messy desk). Sadly I was disappointed with the book because the authors spent too much time trying to categorise mess and messy people (The archaeologist, the order prig, the mess distractor), relying on a single source for major arguments (see Corporation’s Big Plan and their use of Starbuck’s 1992 journal article), and relying heavily on newspaper sources (more that a 1/3 of the 50 sources). Despite all these flaws I found one story about the renowned architect Frank Gehry and his firm which got me excited, but again I was let down. 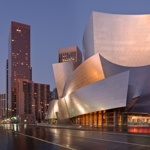 The story continues and the contractors work together with Gehry Partners to co-create the building. The building in delivered on time, on budget and everyone is thrilled with the result. Furthermore, the contractors develop a multitude of new skills and techniques such as new ways to bend steel beams, survey sites, affix unconventional materials. Wow! I was impressed. This was very similar to our three journey approach. The first journey was Gehry and Partners creating the scale models, the second journey was involving the contractors in co-designing the building, and the third journey was its construction. But something bugged me about the story, so I started surfing the web to see if I could find the source referred to in the book’s end notes. I learnt that as the building was designed and constructed the academics from the Case Western Reserve Business School, lead by Professor Richard Boland, were studying the process. There were a number of papers written as a result and I read this one called Design Matters for Management. The first thing I was struck by was how Gehry Partners makes extensive use of computer models in their work. Hmmm, don’t you need measurements to make computer models? I think Abrahamson and Freedman failed the plausibility test because that’s what we listen for when we hear a story; is it plausible? You can see from the picture I included just how complex (and I think this is complex and not merely complicated) his building are. To think they were built without blueprints seem implausible. You might want to write to Case and ask for the movie version… It is free. there is more to be learned about the spinning of stories…. I would love to Beth. Can you tell me who in I address my request and what exactly am I asking for – ie. the title of the movie?